Formed from the body of a lion with the wings, head, and talons of an eagle, the griffin remains one of the most majestic mythological creatures, appearing in a number of tales and heraldic badges. 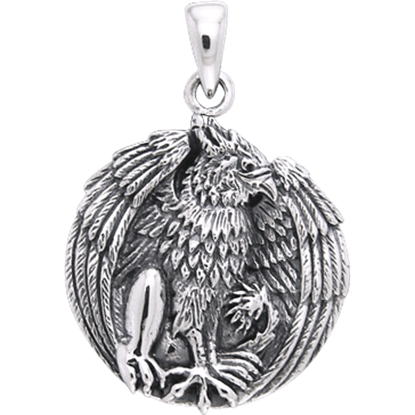 Here we celebrate this amazing fantasy beast with a wide selection of high quality griffin jewelry, including griffin necklaces, griffin rings, griffin earrings, griffin pendants, and more. 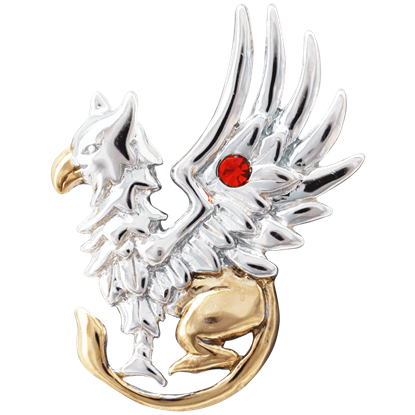 Several of our pieces feature the griffin rampant, while others take a more fantasy bent, such as those designed by the noteworthy fantasy artist, Anne Stokes. 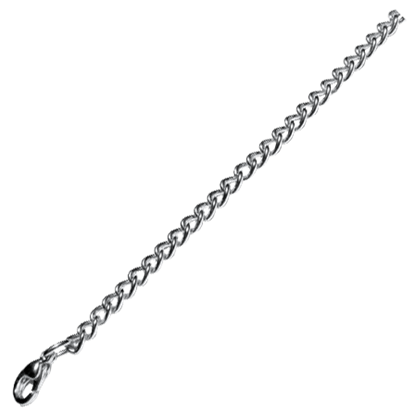 Made from a mix of fine metals and some featuring shimmering gemstones, our inventory of griffin jewelry makes a fantastic accessory choice for fantasy and mythology enthusiasts! Divine Nemesis, goddess of balance and justice, delivered judgment from a chariot drawn by griffins. 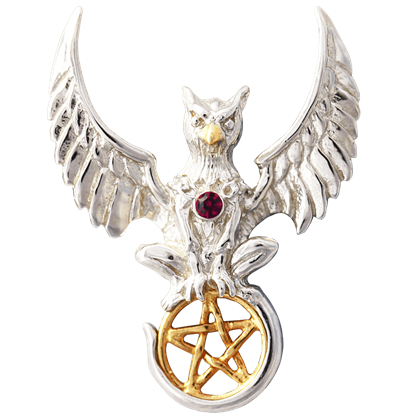 This Griffin of Nemesis Necklace by Anne Stokes is the perfect talisman to represent her favored creature with symbols of mysticism. As fearsome and feral as they might seem, griffins can also be generous patrons, as well, ones who provide for their followers. 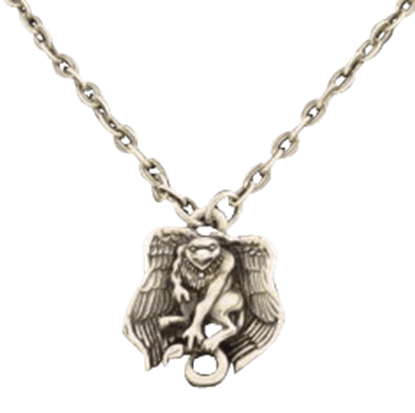 This Griffins Gift Necklace by Anne Stokes draws on the beasts wealth to create a charm for good fortune. In Celtic mythology, griffins represent duality with their half-lion, half-eagle appearance, revealing a balance of positive and negative qualities. In the Rampant Griffin Necklace, a crowned griffin holds a yellow crystal accent. The griffin is depicted as a fearsome beast with the head, wings, and claws of an eagle and the body of a lion. 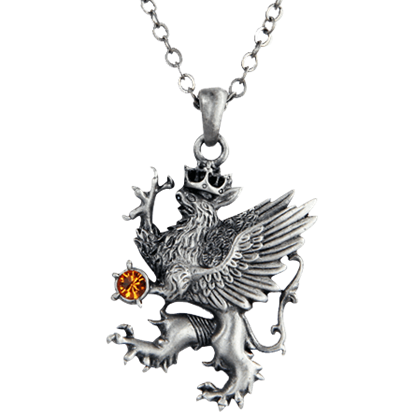 The Renaissance Griffin Necklace does this awe-inspiring beast justice, featuring a fierce beast as it sits and shrieks. Formed by the head of an eagle and the body of a lion, the griffin appears in heraldry as a symbol of courage and strength. 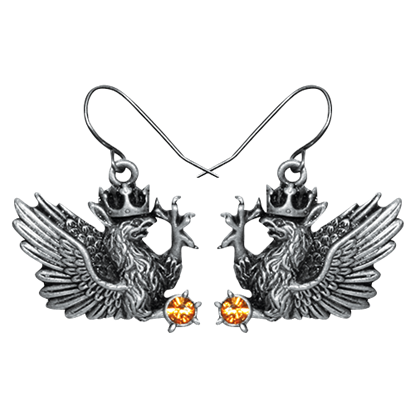 The Royal Griffin Earrings depict crowned griffins displaying their claws and yellow crystal accents. Modeled after the work of artist Jody Bergsma, the White Bronze Gryphon Pendant shows off a detailed version of this mythical beast. The gryphon features the hindquarters of a lion and the head, claws, and wings of an eagle.